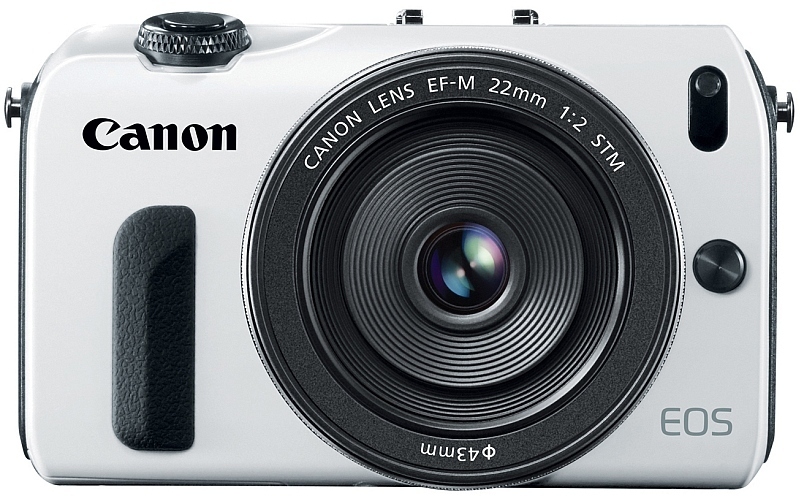 The Canon EOS M is a new compact system camera with an 18-megapixel APS-C CMOS sensor, new EOS M lens mount and a touch-screen interface. Key features include a Full HD Movie mode with Movie Servo AF for continuous focus tracking of moving subjects, manual exposure control, a sensitivity range of ISO 100-6400 (expandable to ISO 12800) for video recording, ISO 100-12800 (expandable to ISO 25600) for still image shooting, Multi-shot Noise Reduction and a 1,040,000-dot, 3.0-inch Clear View LCD monitor II with smudge-resistant coating, multi-touch operation and Touch AF. Other highlights include a flash hot-shoe, stereo microphones, manual audio level adjustment and a Video Snapshot mode with touch-screen editing. 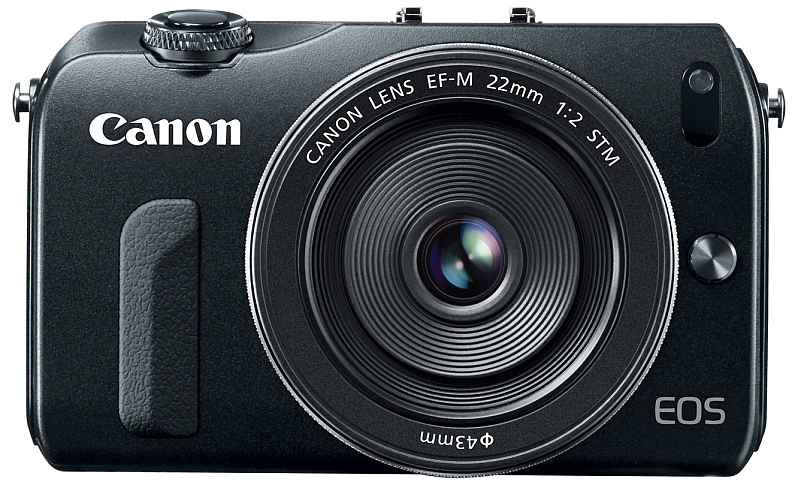 The Canon EOS M Digital Camera bundled with the new EF-M 22mm f/2 STM kit lens will be available in October for an estimated retail price of $799.99 / £879.99 / €1,049.99. 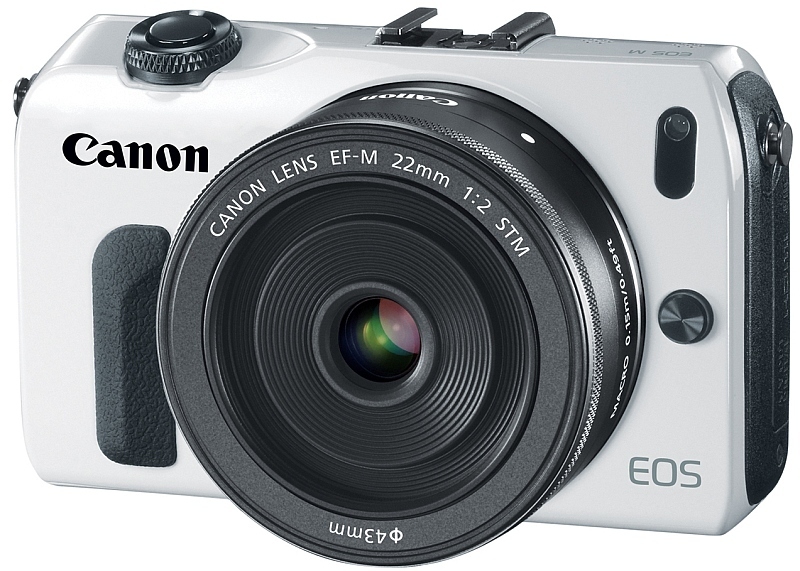 Other bundles include the Canon EOS M with the 18-55mm f/3.5-5.6 IS STM lens for £769.99 / €909.99 and a two-lens kit (Canon EOS M + EF-M 18-55mm f/3.5-5.6 IS STM + EF-M 22mm f/2 STM £949.99 / €1,129.99). 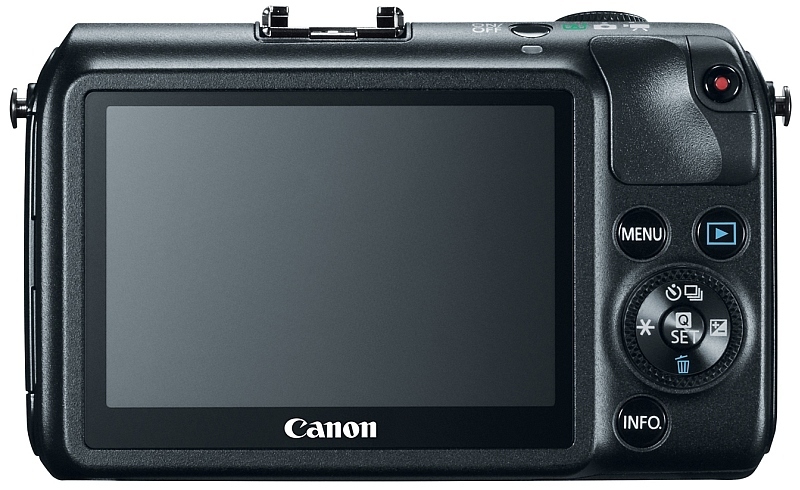 According to Canon UK, all kits will ship with the new Speedlite 90EX flash as standard. 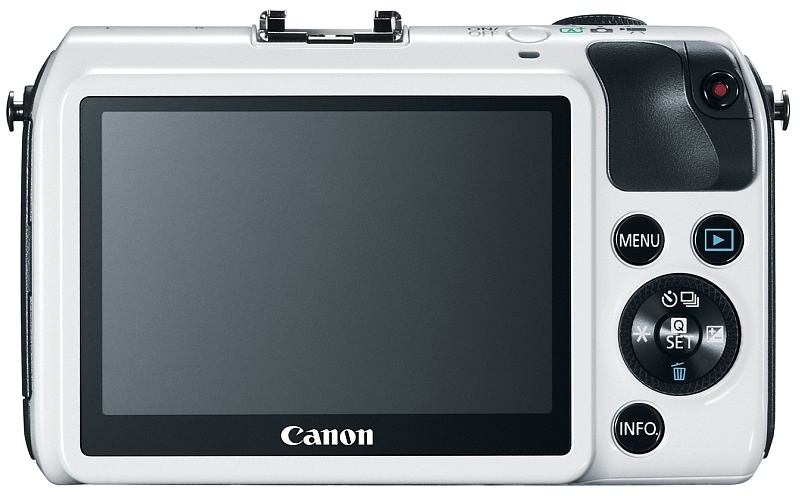 The white version shown above will be exclusively available through the Canon Online store. 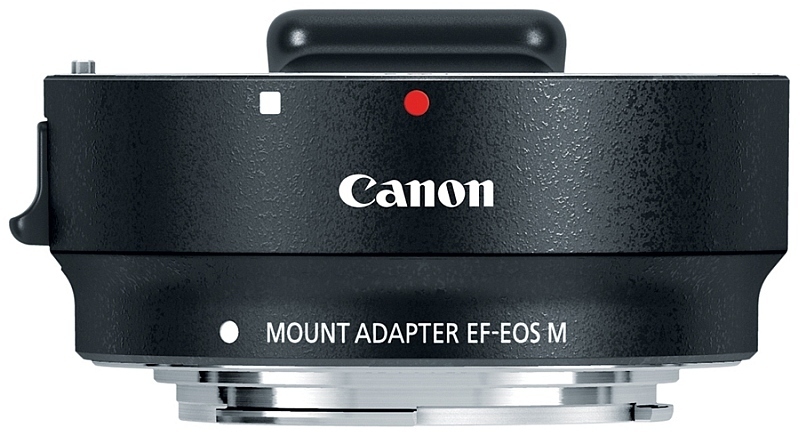 In addition to M-mount lenses, any of Canon’s EF and EF-S lenses can be used with the EOS M with the optional Mount Adapter EF-EOS M. In the UK and Ireland, the adapter will be included with the first kit (Canon EOS M + EF-M 22mm f/2 STM). 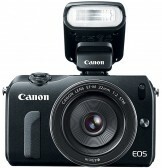 Update: Canon Japan has published a number of full-resolution sample images as well as a couple of sample videos recorded with the Canon EOS M.
United Kingdom, Republic of Ireland, 23rd July 2012 – Canon today expands its award-winning EOS range with the launch of the new EOS M. The company’s first ever compact system camera (CSC), the EOS M is designed for those who use photography to share their everyday passions – from photographing friends and family, to fashion and culture, food, music and art. Offering DSLR-quality imaging, creative features and Full HD movie creation in a compact and easy-to-use model, the EOS M is the perfect, take-anywhere partner for a new breed of enthusiasts who chronicle their lives through images, without necessarily considering themselves to be ‘photographers’. The EOS M is available in sleek black, glossy white, stylish silver or bold red colours, and condenses Canon’s renowned EOS imaging heritage into a stylish, compact design. The model launches alongside two new lenses, the EF-M 22mm f/2 STM pancake and the EF-M 18-55mm f/3.5-5.6 IS STM standard zoom, as well as a new compact EX Speedlite – the Speedlite 90EX – providing everything you need to capture stunning images every day. For those who want to push their images even further, the EOS M can also utilise Canon’s extensive range of over 70 EF lenses with the new Mount Adapter EF-EOS M, for even more creative freedom. Print your favourite moments in poster-size or crop your image for maximum impact –whether shooting the atmosphere of your favourite club or the intricate stitching of the latest must-have handbag – thanks to the EOS M’s high-resolution, 18 megapixel APS-C hybrid CMOS sensor. The large sensor also allows you to artistically blur the background for beautiful portraits, or for close-ups with impact. With the inclusion of Canon’s DIGIC 5 processor, colours ‘pop’ and skin tones are beautifully natural, whilst a super-fast shutter allows you to capture split-second action. The atmosphere of evening shoots and challenging night-time scenes are also easily recorded in stunning detail thanks to the EOS M’s sensitive native ISO range of 100-12,800 (extendable to 25,600). Every aspect of the EOS M has been designed to make it simple to capture beautiful, creative, high-quality images. From the very first swipe across the bright, high-resolution, 7.7cm (3.0”), Clear View LCD II Touch screen, the EOS M gives you as much or as little control over your photos as desired. Simply select different shooting modes and settings via the on-screen icons, or let Scene Intelligent Auto adjust the camera settings according to the subject and shooting conditions, leaving you free to focus on composition and selecting the perfect moment to hit the shutter release button. EOS M users can shoot with the confidence that comes from having the world’s most comprehensive photographic system behind them. Whether you want to capture every detail of a close-up or zoom in to frame a subject in the far distance, any one of Canon’s extensive range of 70+ EF lenses can be connected via the new Mount Adapter EF-EOS M for photographic flexibility. In addition to compatibility with Canon’s existing EF lenses (Via Mount Adaptor EF-EOS M), accessories and Speedlites, the EOS M launches with its own bespoke range of compact accessories. Two new EF-M lenses offer portability and high performance when using the new model – the EF-M 18-55mm f/3.5-5.6 IS STM standard zoom and the EF-M 22mm f/2 STM pancake lens. Both feature new Stepper Motor technology for exceptionally smooth AF performance, as well as precision Canon optics, while their compact designs offer the perfect form-factor to complement the camera’s pocket-sized body. 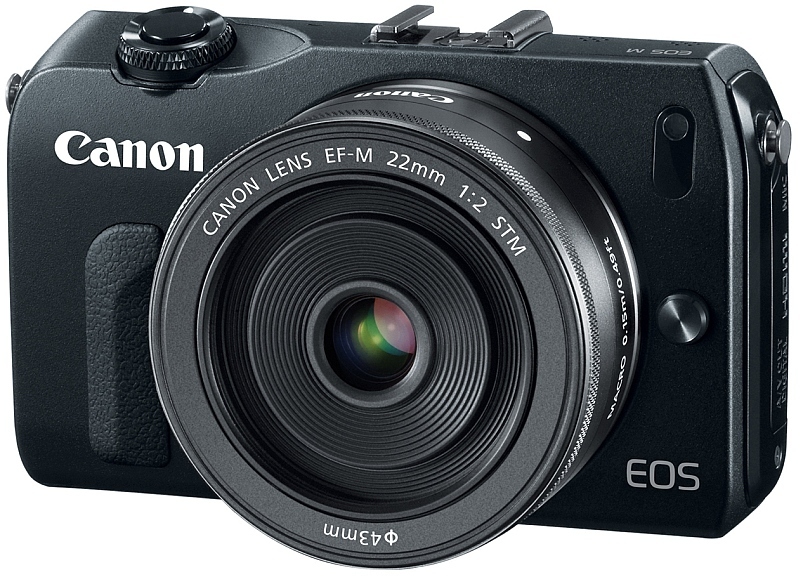 EOS M + EF-M 18-55mm f/3.5-5.6 IS STM: £769.99 / € 909.99 RRP incl. VAT. 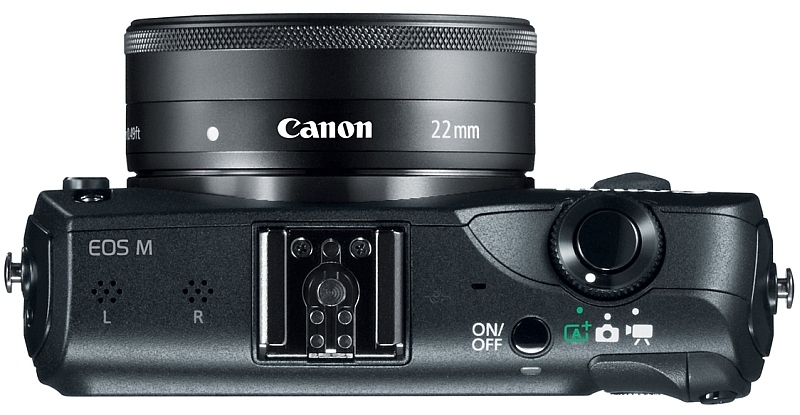 EOS M + EF-M 22mm f/2 STM + Lens Adapter £879.99 / € 1,049.99 RRP incl. VAT. EOS M + EF-M 18-55mm f/3.5-5.6 IS STM + EF-M 22mm f/2 STM £949.99 / € 1,129.99 RRP incl. VAT. EF-M 18-55mm f/3.5-5.6 IS STM £269.99/ € 320.99 RRP incl. VAT. EF-M 22mm f/2 STM £229.99 / € 273.99 RRP incl. VAT. 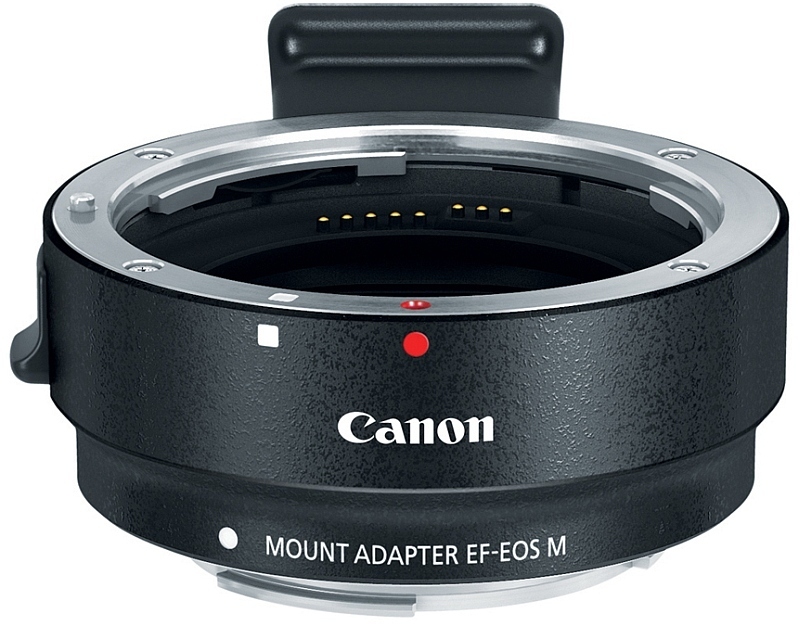 Lens Adapter £129.99 / € 154.99 RRP incl. VAT. LAKE SUCCESS, N.Y., July 23, 2012 – Combining the perfect blend of advanced video features and excellent still image quality in a convenient size, Canon U.S.A., Inc., a leader in digital imaging solutions, today announced the EOS M Digital Camera. Canon has made significant advancements in the realm of professional-quality HD video capture, from advanced CMOS sensor technology to smooth, quiet continuous autofocus. Inspired by EOS technology, the EOS M leverages these core technologies and distills them down to provide outstanding video capture capabilities while retaining high-quality still image capture. When shooting still images, the EOS M camera’s 18-megapixel APS-C-sized CMOS image sensor provides a shallow depth of field, incredible low-light image quality and a wide dynamic range to capture rich gradation and detail. This new addition to the EOS family offers a great solution to videographers and photographers of all levels, with two new lenses designed specifically for Canon’s new camera format - the EF-M 22mm f/2 STM kit lens and the optional EF-M 18-55mm f/3.5-5.6 IS STM lens- and the ability to use the full line of Canon EF and EF-S lenses through the optional Mount Adapter EF-EOS M.
Thanks to Canon’s new Stepping Motor (STM) technology, when using either of the newly announced M-series lenses - the EF-M 22mm f/2 STM kit lens or the optional EF-M 18-55mm f/3.5-5.6 IS STM lens - the AF system remains silent, helping ensure users only capture the sound of the scene being recorded. 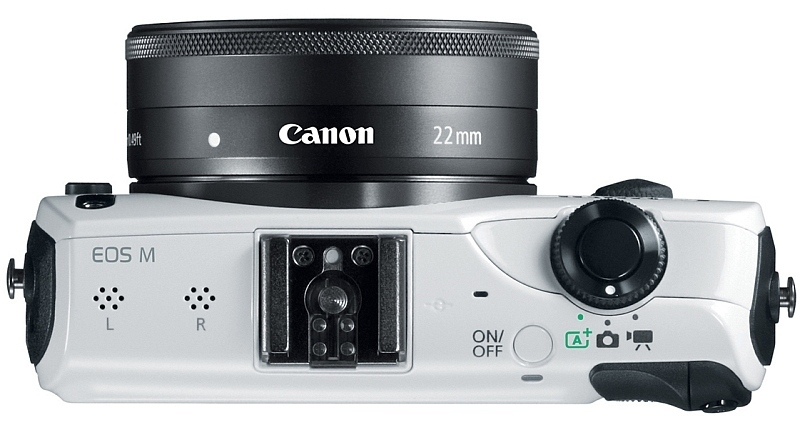 The EOS M also features manual audio level control to 64 levels, a built-in stereo microphone, which includes a wind filter and an attenuator function to reduce audio distortion in extra loud situations. The EOS M records MPEG-4 AVC H.264 video as an .MOV file in a range of NTSC and PAL professional frame rates, including 1080p Full HD video at 30p (29.97), 24p (23.976) and 25p, 720p HD video at 60p (59.94) or 50p and Standard Definition video at 30p (29.97) or 25p. In addition to the creativity afforded by over 70 compatible lenses, the EOS M also includes Picture Style settings - including custom Picture Styles - when shooting video, allowing users to adjust color settings the same as when shooting still images. The camera also includes Canon’s Video Snapshot mode for an easy way to record and create a fun highlight reel that can be easily shared. Video Snapshot mode combines a series of short video clips into a single file, all in-camera. Through the camera’s touch-screen controls users can delete, cut or re-order the clips in-camera for quick and easy editing.